Paisley Roots: A Giving Christmas: Simple Simon & Co.
A Giving Christmas: Simple Simon & Co.
Today we get the awesome sisters, Elizabeth and Liz, from Simple Simon and Co. They have a ton of amazing ideas and are so sweet! I was able to meet them In real life this last September and man oh man! They really are the sweetest people. I actually came home and told my husband that I felt like I had just met two first ladies, cause they just seemed so regal and amazing. Thank you so much Elizabeth and Liz for coming over here!! Isn't Karly great? We got to meet her "in real life awhile back". And besides being nice, which she is, and fun to be around, which she also is, Karly is super model tall and thin!!!! Seriously, super model built I tell you. Super model. Unfortunately we are not super model built but we are happy to be here today. We, by the way are Elizabeth and liZ from Simple Simon and Company and we are big fans of handmade gifts. 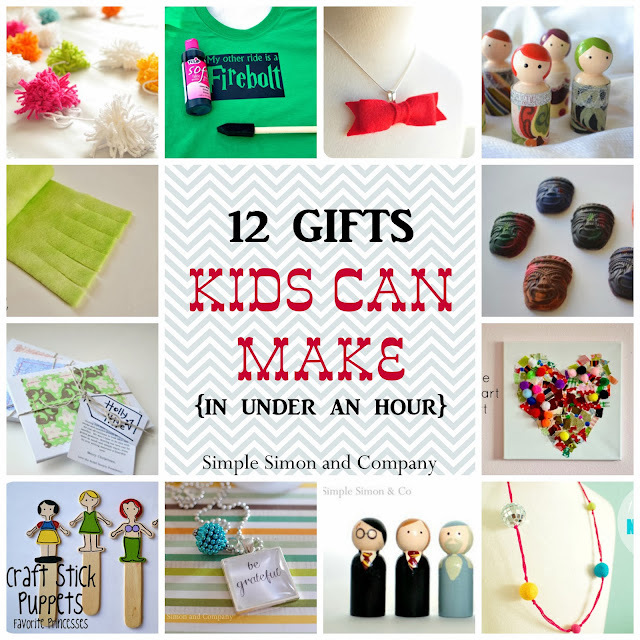 We couldn't decide on just one thing to share today so we settled on 12 of our favorite gifts that your kids can help you create. Kids love to be involved in making gifts for others and take pride in telling those who receive the gifts what part they played in making it. Today we tried to pick projects that they could help out with the cutting, designing, stringing, gluing, or tying. Thank you Karly for inviting us over here today. We just love series like this! EEP! scrappy heart art!!?? YES!!! !